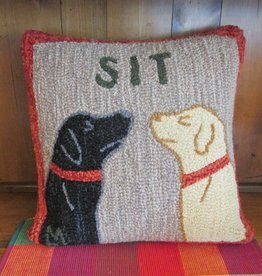 This popular pillow has both of your faves, nose to nose and behaving. The long horns of this steer demand a grand pillow! 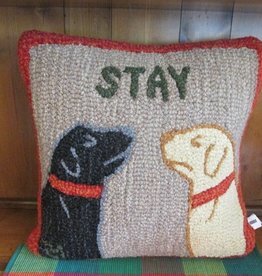 14" x 20" hand hooked pillow, made with 100% natural wool. Zippered velveteen backing with poly-fill pillow insert. The long horns of this steer demand a grand pillow! 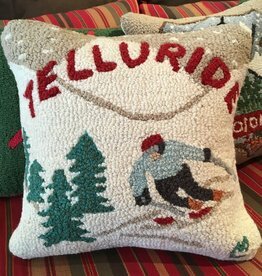 8”x24” hand hooked pillow, made with 100% natural wool. Zippered velveteen backing with poly-fill pillow insert.